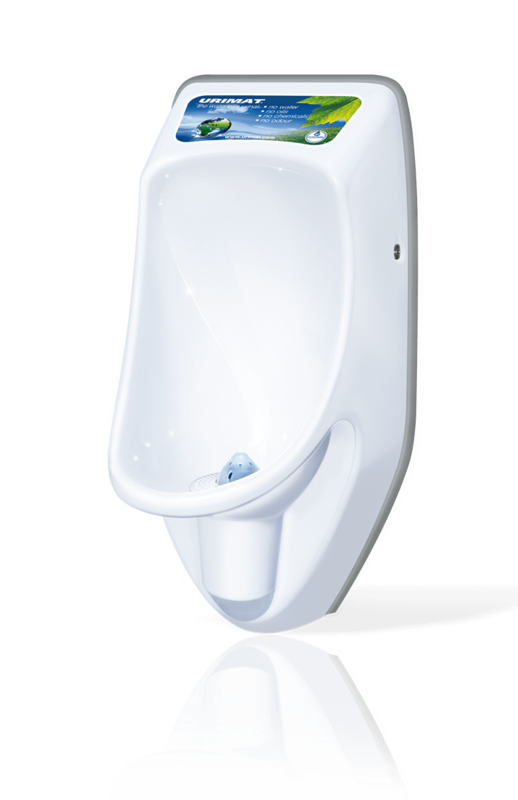 It features the membrane valve, microbial detergent to upgrade restroom hygiene, which is a key innovation of URIMAT products. 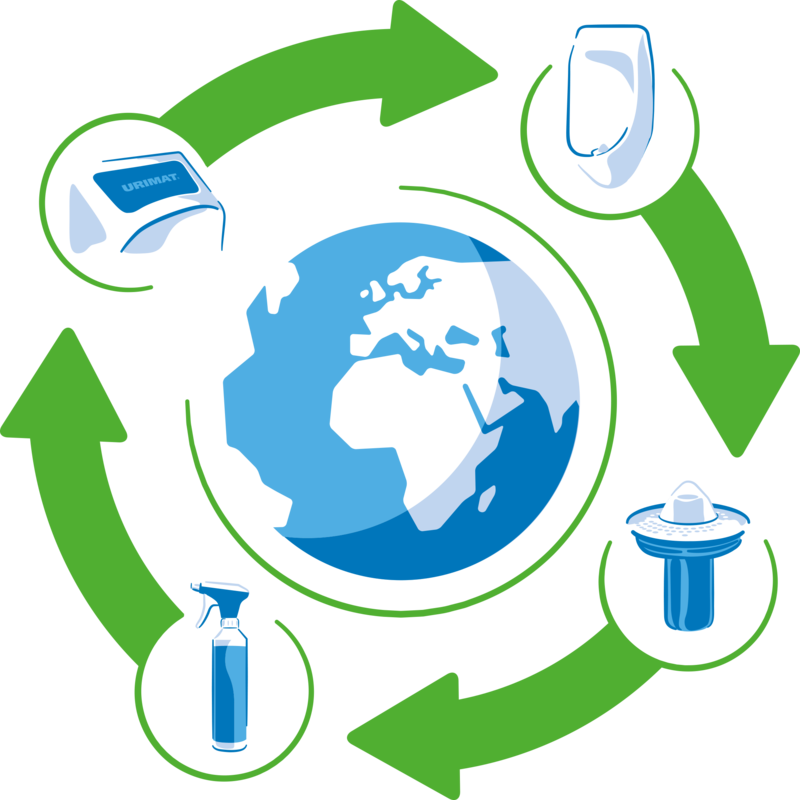 URIMAT designs, manufactures and services ecologically advanced sanitary solutions, which are best-in-class by international standards. Restless innovation at our labs pushes the boundaries of sanitary solutions for the great benefit of our customers and the environment. Our service proposition goes above and beyond what our competitors are able and willing to do for you. Cuts water consumption to zero. 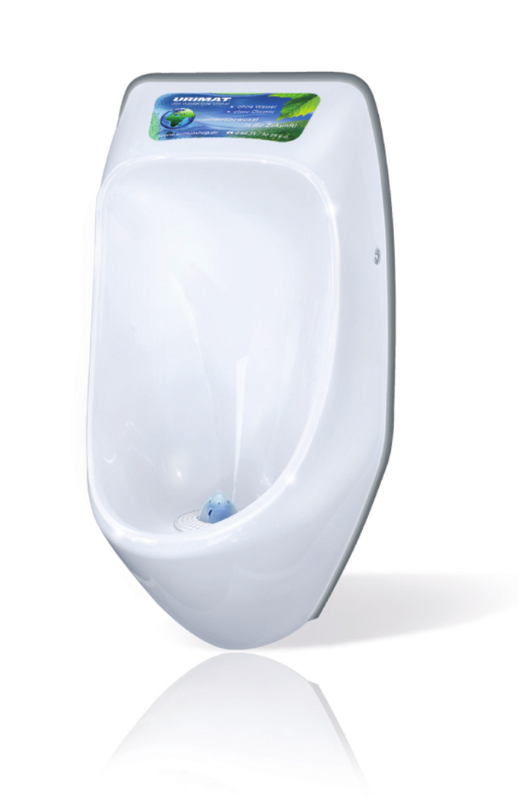 Ensures impeccable hygiene and controls for odours. Seamless operations by our regular and prescheduled on-site service. Lowers total cost of ownership by cutting water and plumbing costs. 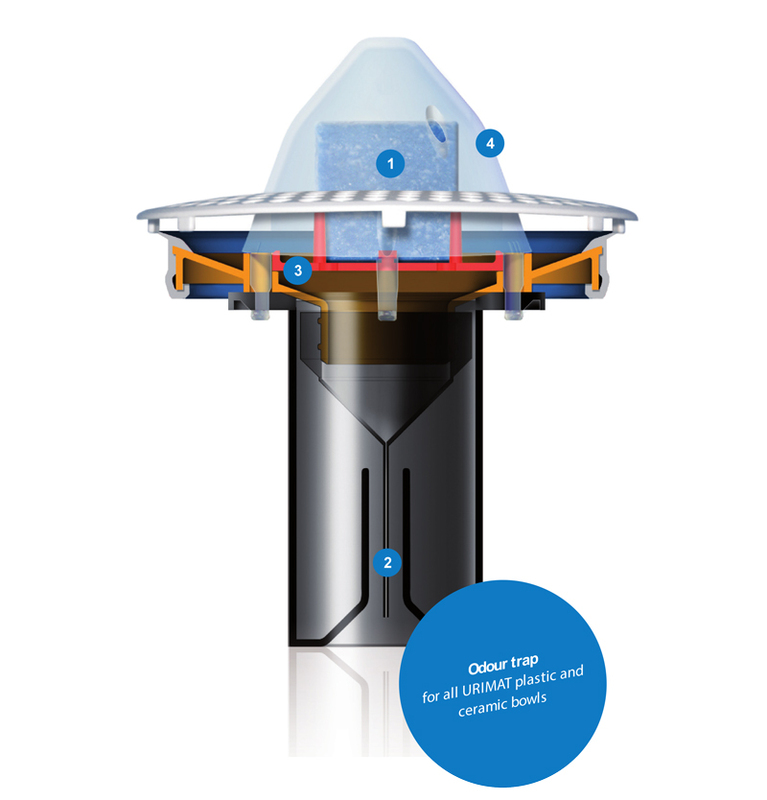 The Integrated MB-ActiveCube binds bad odour (ammonia) within the pipe before it emerges by dissolving organic enzymes. Reduces deposits, prevents the inside of the odour trap and the waste pipe becoming encrusted with organic matter, urine deposits and fats. Odours are completely sealed away by the vertical sealing membrane technology. It withstands both negative and positive pressures and makes it impossible for any gases to escape from the sewage system. After the MB-ActiveCube has been dissolved, the red surface beneath the transparent cover signals that the odour trap shall be replaced. The patented three-way control allows to dose the integrated MB-ActiveCube for optimal effectiveness and service life. 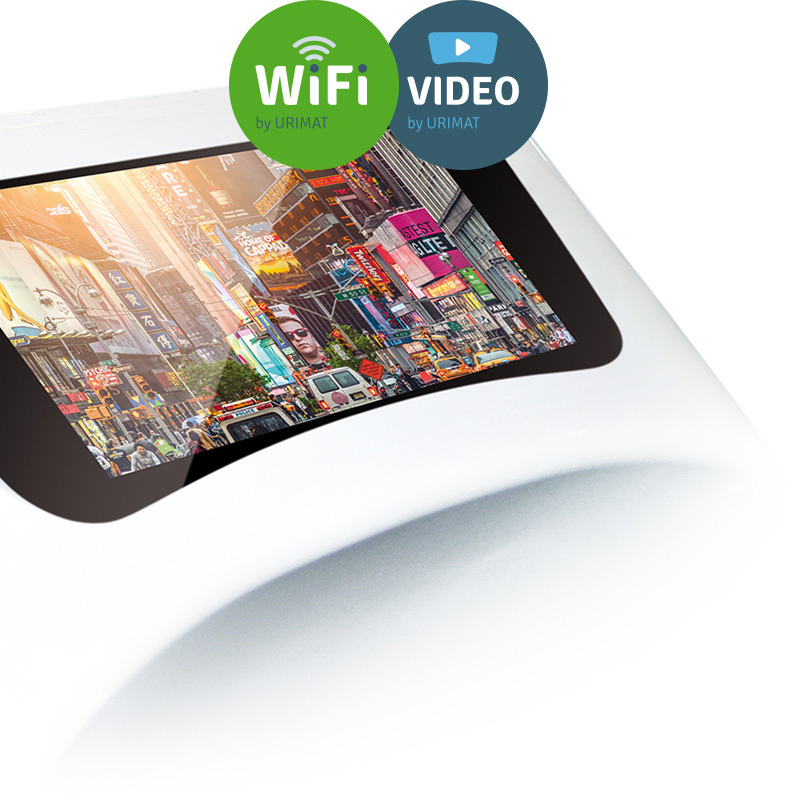 Unparalleled Advertising Channel via fully integrated Video Signage. The high-resolution video signage does not allow changing the channel or turning the page. Your advertising message is viewed on average for 40 seconds. While you get the full attention of your audience, it appreciates for a change and positively recalls your message. Find out more about advertising via URIMAT signage at AquaTech.sg. 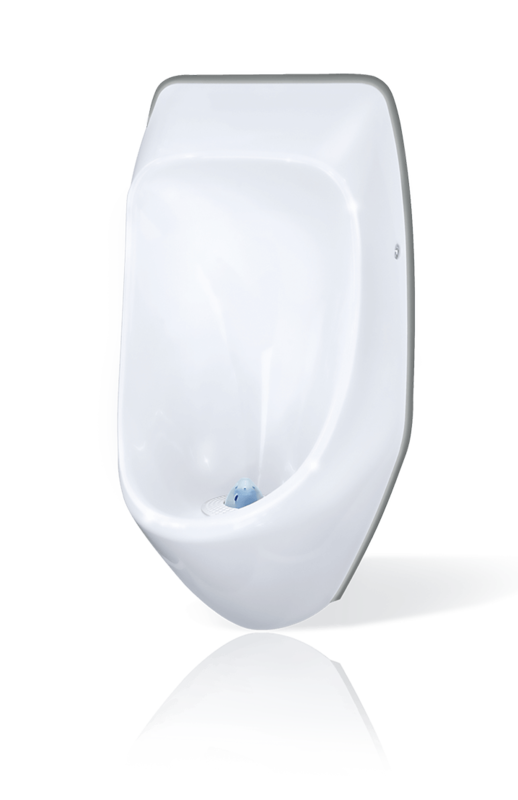 Eliminate bad smell in your washrooms – permanently. 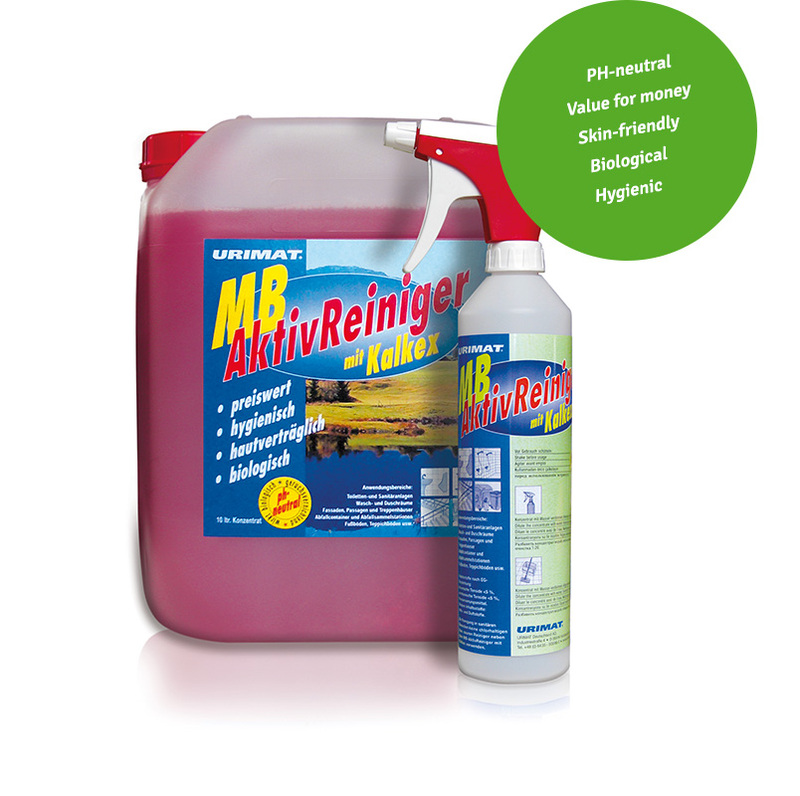 MB-ActiveCleaner is a highly effective micro-biological cleaner that uses enzymes to bind ammonia – the main villain for bad smell in any washroom. One of a kind in Singapore! faucets, showers, sinks, mirrors etc. mop floors made from tiles, marble, vinyl etc. Dermatologically tested for skin-friendliness and rated «very good». It is particularly well suited for maintenance cleaning and odour elimination in heavily used washrooms & sanitary facilities. Expected annual savings of 100,000 litres of drinking water or more per urinal per year.